Garden Vegetable Sandwich. Spring is the time of year that I’m planting my outdoor herb and vegetable garden. Mostly I grow herbs including several kinds of basil, sage, chives, garlic chives, oregano, and Italian parsley. Cherry tomatoes tend to do better in pots on my deck than do the larger salad and heirloom tomatoes. Two years ago, I started to grow salad greens including spring mix and baby arugula. There’s nothing more tasty than a ripe tomato, fresh and warm off the vine. 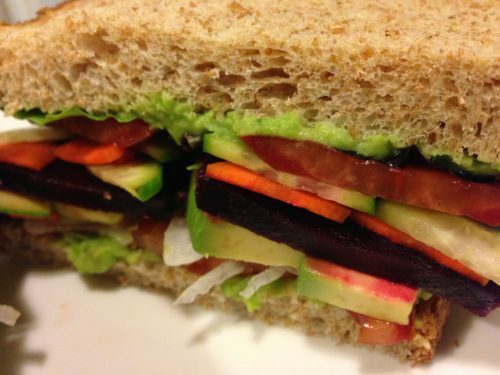 My Garden Vegetable Sandwich is made up of the bevy of my garden…and then some. I still buy onions, scallions, radishes, avocados and carrots from the grocery store or local farmers’ markets. My neighbors will usually offer cucumbers, several kinds of peppers, radishes, zucchini, larger tomatoes, eggplant, dill, and tarragon from their larger farm garden. 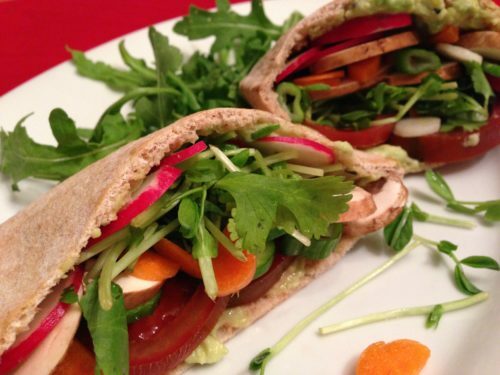 To make my Garden Vegetable Sandwich, start with some sort of bread, roll or pita pocket as the base of the sandwich. Then spread something creamy on the base such as mayonnaise, soft goat cheese, mashed avocado, my green pea hummus or regular hummus or my Roasted Broccoli Dip/Spread. 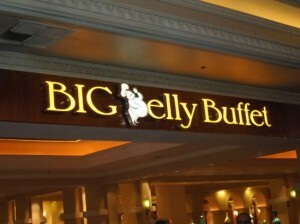 Then add your favorite sliced or shaved vegetables such as tomato, radish, cucumber, carrot, mushroom — the list goes on. Add some greens such as arugula, lettuce or spring mix. 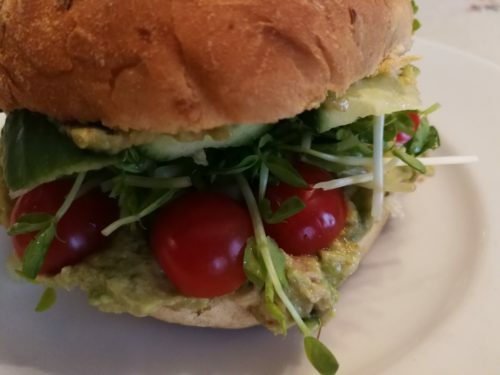 If you have sprouts, pile them onto the sandwich. If you have cooled cooked potatoes, slice and add them. Be sure to add some fresh herbs such as dill, thyme, basil, chives, or tarragon. Also, adding a seasoning mix like Trader Joe’s Chile Lime Seasoning provides even more flavor. 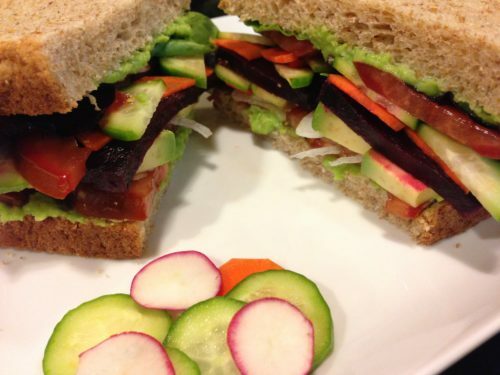 I could eat this sandwich every day as it will never get boring with all the available garden vegetable options. 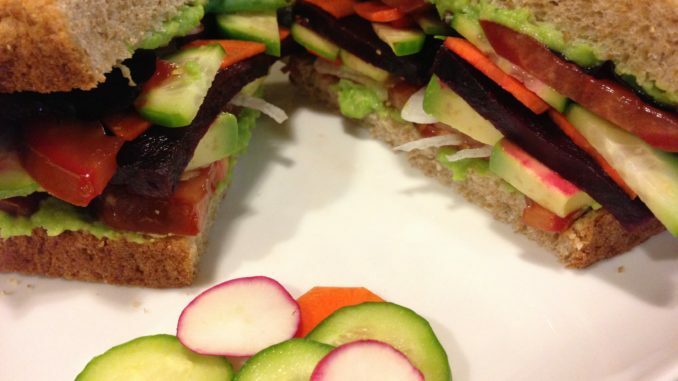 This veggie-loaded sandwich goes right along with heart-healthy eating (minus the mayo or goat cheese) and along with my quest to eat healthier. Fresh sprouts such as bean sprouts, pea shoots, sunflower sprouts, etc. 1. Spread mayo, goat cheese, green pea hummus, regular hummus, roasted broccoli dip/spread or your favorite condiment on the bread, rolls, wraps or pita pockets. 2. Add your favorite vegetables and fresh herbs. 3. Sprinkle with your choice of seasoning for added flavor. 4. Slice your sandwich in half, if desired, and place on a serving dish. Makes several sandwiches. 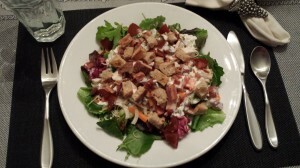 Offer with your favorite chips or my Dill Potato Salad with Greek Yogurt Dressing. 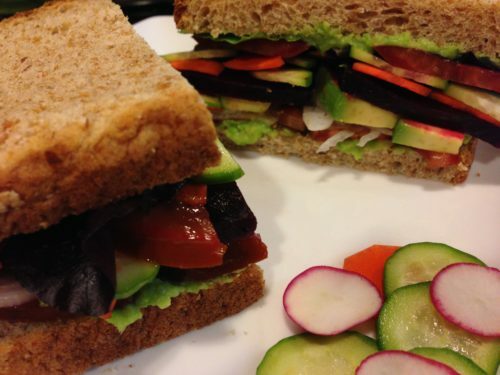 Variations: Try whatever bread base, veggies, spreads and seasonings that you like for this sandwich. It’s a simple sandwich that tastes best right after it’s assembled or it can get soggy quickly. 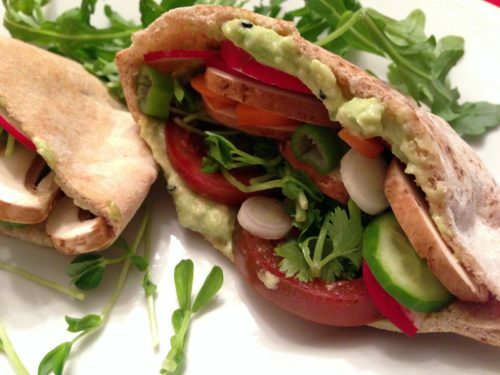 If your slices of veggies are small, a pita pocket will likely hold them better. Sometimes veggie sandwiches on regular bread tend to fall apart. 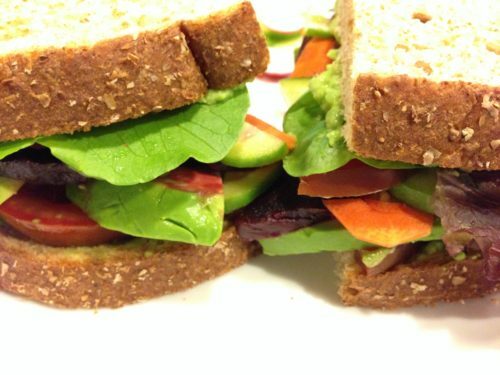 This sandwich is vegan and heart-healthy if you omit the mayo or goat cheese and use vegan mayo, my green pea hummus, regular hummus, or my roasted broccoli dip as a spread. Also be sure to select a vegan bread, bun, wrap, or pita pocket.